With crafting quite a lot lately I feel inspired to do so much but unfortunately there are just not enough hours in the day. 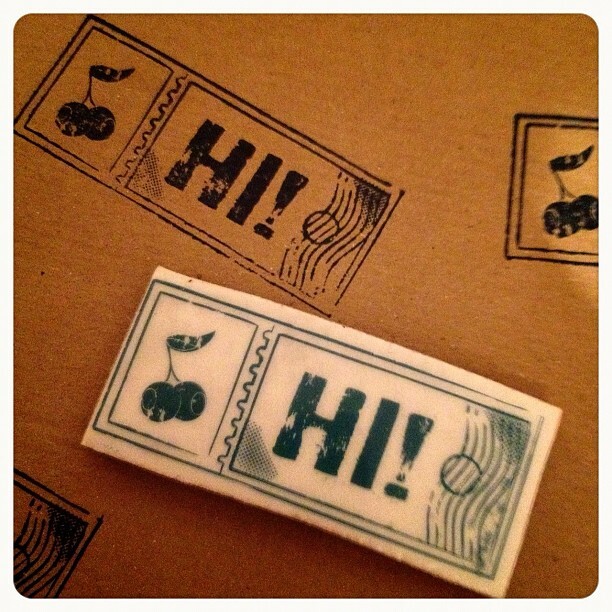 One of the things that keeps coming to mind is to make my own rubber stamps, its just something that I want to try even though I've no idea if I'll be any good at it or will keep it up but I'd love to give it a go. The problem is though that I've tried searching online for kits but I just get loads of listings for rubber stamps or places that sell them so if you know anywhere that sells supplies please send me a link. Even better if you can give me some tips on what to consider when doing this. Its so nice to get this motivation, I never lost it but with all my supplies being in our bedroom I wasn't able to make use of them until the weekend when my husband was at work... then I was torn between writing a letter or crafting. At the moment he's abroad and I'm making the most of it but also at the same time encouraging him to stay a little longer! I had the need to use a corner punch last month and bought one, I have crafted with it so much that I don't know what I ever did without it... so hopefully these 2 items that I want to do something with will have the same effect :). Is there anything you'd like to try that you haven't done before?